(I’m) busy but (I’m) free tomorrow. Note: If the first clause ends with a noun or na-adjective without any tense and you’re not using 「です」, you must add 「だ」. (I’m) free today but (I’m) busy tomorrow. If the noun or na-adjective is already conjugated （such as the negative 「じゃない」）, you don’t need to add 「だ」. (I’m) not free today but (I’m) free tomorrow. You can combine two sentences with 「から」 or 「ので」 to show a reason and result but it’s important to remember that the reason comes first. Therefore, it may be helpful to remember the definition as “so” rather than “because” to match the order. 「ので」 is slightly more polite and formal compared to 「から」. (It’s) noisy here so (I) don’t like it very much. Note: Once again, If the first clause ends with a noun or na-adjective without anything else （such as 「です」 or 「じゃない」）, you must add 「だ」 for 「から」 and 「な」 for 「ので」. (It’s) quiet here so (I) like it. Once again, this only applies to nouns and na-adjectives that are not conjugated to another tense. (It’s) not quiet here so (I) don’t like it very much. Similarly, you can attach two sentences with 「のに」 to mean “despite” or “in spite of”. 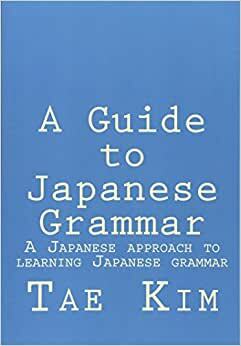 Similar to 「ので」, you must attach 「な」 when the first clause ends with a plain noun or na-adjective. Despite the fact that Tanaka-san is (a) teacher, (she) is very young. This year is recession so despite it being Christmas, customers are few. Although Alice is cute, because (she’s) serious, (she has) few male friends. You can leave out either side of the conjunction if it’s understood by context. Smith: I don’t like (it) here. If you leave the first part out, you still need to add 「です」, 「だ」, or 「な」 just as if the first sentence was there. Lee: Despite the fact (it’s) library, (It’s) always noisy here, huh? Smith: That’s why I don’t like (it) very much. Other options would be the same as it would be with both sentences. You can even leave out both parts of the conjunction as seen in the next dialogue. Lee: I’m busy lately, you know? Lee: So (it’s) tough, you know! But (I’m) finally free today so (I’m) happy! Smith: Oh, is that so? In English, changing the order of words in the sentence can often change the tone as well. For example, asking “Is he a student?” sounds very different from “He’s a student?” While the former is a very neutral question simply seeking a yes or no answer, the latter expresses surprise that the person is in fact a student and is seeking confirmation of that fact. In Japanese, we saw that sentence order is very flexible due to how particles clearly define the grammatical role of each word. So in order to express this kind of biased question or answer, we add 「の」 to the end of the sentence to show that we are seeking or providing an explanation. For nouns and na-adjectives, you also need to add 「な」 before 「の」. In the second sentence, because the person is implicitly seeking an explanation for why he’s a student, it gives the impression that the speaker is surprised or considers the fact that he may be a student to be unexpected. Smith: By the way, Lee-kun, why are you busy? Lee: Because (I’m in) swim club. Smith: Eh? Is that so? Smith: But isn’t (your) hobby computers and games? Lee: That’s so but health is also important so. When the sentence has additional things following the 「の」 such as 「だ」 or 「です」, the 「の」 is replaced with 「ん」 to make pronunciation easier. While 「の」 can still be used, it is considered to be old-fashioned. Smith: Yamamoto-sensei, Lee-san is not an otaku because (he’s in) swim club. Yamamoto: Um, Smith-san, Otaku is not a very good word, you know. Smith: Is that so? But Lee-san is not an otaku so isn’t it fine? Yamamoto: No, never mind (lit: (it’s) fine). The phrase 「いいんじゃないですか？」 shows a very important way setting expectations can enhance your abilities to express certain things. By setting the expectation that it should be good and asking the opposite allows you to ask questions like, “isn’t it?”. You can compare the difference in meaning by looking at the different variations below. This is only to give you the general idea as you’ll naturally get the hang of it through the regular course of exposure to the language. いいんじゃないですか？ – It’s good, isn’t it? よくないんじゃないですか？ – It’s not good, isn’t it? It’s important to note that this way of seeking explanation or expectation is not explicit and can be more of a subtle nuance as opposed to directly asking for an explanation. It’s common to use 「の」 for just about anything that’s not completely neutral in tone especially in casual speech. How strong the explanation or expectation is will depend on the context and tone. A: Sorry, today is no good. A: Sorry, tomorrow is no good. A: Tomorrow is test, isn’t it? A: Sorry, tomorrow is no good for certain. In this chapter, we learned how to use nouns and adjectives to describe what something is or isn’t. Here is a simple list of examples using the various conjugations we learned in this chapter. Now that we’re familiar with the state-of-being, we can already ask and answer many different types of questions that involve what something or someone is. This includes asking simple yes/no questions or by using a question word. The word for “what” or 「何」 is a bit tricky because it has two readings. When used by itself, it is always pronounced 「なに」. However, as we’ve already seen, when used with 「です」 it is read as 「なん」. There are other cases when it is read as 「なん」 as we’ll see later. As you begin to practice speaking Japanese, you can apply what we’ve learned in this chapter to ask various ice-breaker questions. Try to come up with your own questions for your teacher, classmates, or conversation partner. John: Alice-chan, (are you) always lunch box? Alice: That’s so. (My) mother likes cooking so. John: I also want box lunch. (I) don’t much like the cafeteria food. Alice: What kind of food (do you) like? Alice: (You) like expensive food, don’t you. By the way, why is (your) lunch always ramen? For writing practice, try writing a brief description about yourself. As always, make sure to correct your work early to avoid developing any bad habits. You can either ask a Japanese speaker or use http://lang-8.com/. Here’s a short list of words that might be useful. For example, here’s a short self description by Alice Smith.